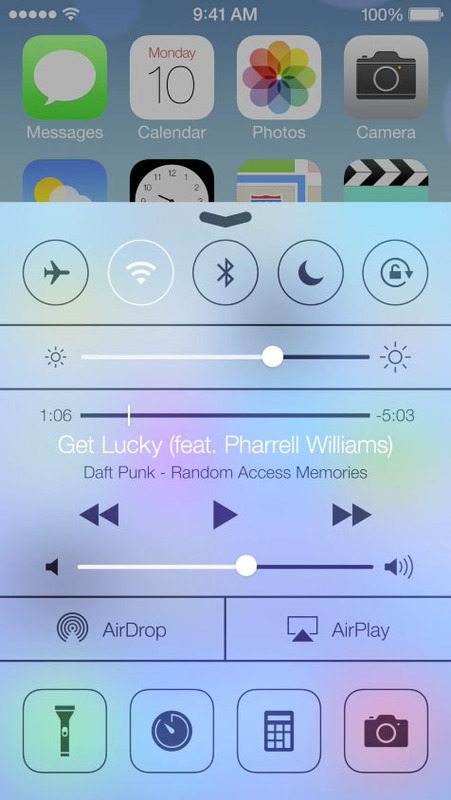 One of the best features in iOS 7 is definitely Control Center. This new feature gives you access to many often used settings and controls from anywhere on your iPhone or iPad. 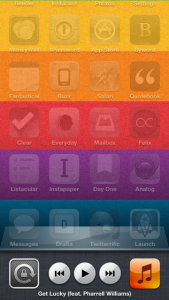 It’s like having some of the best Cydia tweaks, but sans the jailbreak. However, I still don’t think Control Center, in its current form, is living up to its full potential. I know, this is just a beta and I’m getting greedy. 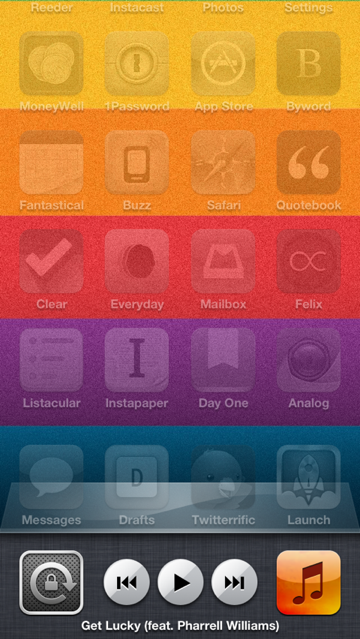 But it could still be so much better, and I hope that, by the time iOS 7 ships in the fall, it will be. Let’s be honest, Control Center is missing some very key toggles. Currently, it only has toggles for Airplane Mode, Wi-Fi, Bluetooth, DND, and orientation lock. Cellular Data is definitely one that should be included. Sometimes, we want to just use Wi-Fi and not dip into our data allowance (depending on our carrier and plan, of course). For those of us very concerned about our data usage, having the toggle right in Control Center is not just convenient, it makes sense. Also, another toggle that, to me, is a no brainer for Control Center is Personal Hotspot. I have a Wi-Fi only iPad, so I use the Personal Hotspot pretty often when I need to. Going into the Settings app is too many taps for such a used feature. The ability to toggle these on and off right from the lock screen especially would significantly improve Control Center’s functionality. Okay, now we’ve covered a couple of toggles. 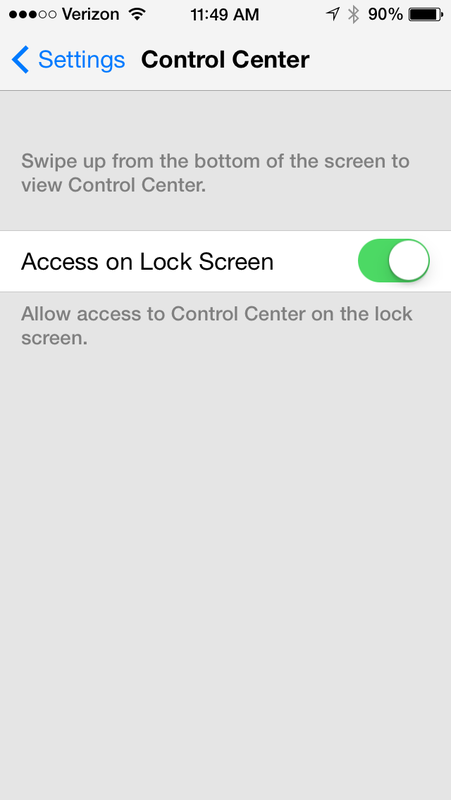 But what about accessing other apps from Control Center? There are a handful of apps that would take Control Center from being great, to 100 percent more efficient. Here are the main ones I’d like to see become implemented this fall. Sure, once something is already playing, you can control it from Control Center, but what about easy access to your music anytime? I would never put the Music app on my home screen, even though I used it often, because I could quickly access it via the switcher (double tap home, swipe right). But in iOS 7, that’s no longer possible. You can’t even access controls by double tapping the home button on the lock screen anymore; you can only control Music, and while it’s already playing, from Control Center. This is fine and dandy, but I want easy access to my playlists and songs and artists. I want to be able to open the Music app from Control Center. That way, my music collection, and iTunes Radio, are always ready to appease my earballs. Another app that would be ridiculously handy in Control Center is the Contacts app. Easy access to calling people from, say, the lock screen would be a great addition. Although, currently, I just use Siri or Launch Center Pro, having the Contacts app in Control Center would be even better. Tell me something: Why is Camera in Control Center when it’s on the lock screen already? I suppose if you don’t keep a camera app on your home screen at all, this may come in handy. But definitely not from the lock screen. It’s already there. It seems sloppy and counterproductive to have it — it’s a waste of space. And that’s not very Apple-like. I’d like to see Apple say goodbye to the Camera in Control Center, and give that real estate to one of these other apps instead. And while we're at it, toss the Calculator out too. I know this may seem like nit-picking to some, but it's all in the details. And details like this are what make the OS that much better for its users. 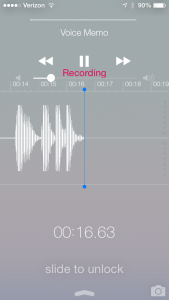 Now, another curious tidbit lies in Voice Memos. Why would Apple make the Voice Memos app look so good on the lock screen? Look at this thing. It’s way more detailed than it needs to be. 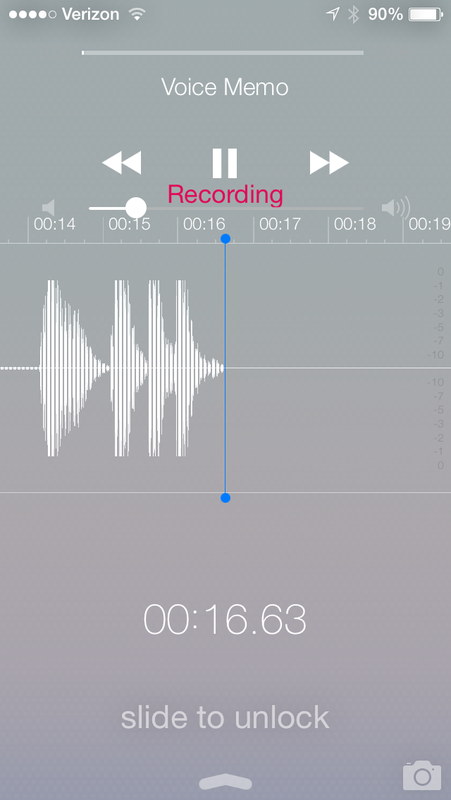 I’m thinking it must be because soon, in iOS 7, you’ll be able to access Voice Memos from the lock screen. That would be handy for journalists and musicians in particular. Or, you know, the type of person who likes to record obnoxious messages to send to her friends. If you’re into that sort of thing. Now, I’ve talked about some great additions to Control Center, apps and toggles alike. But you know what would be even better? 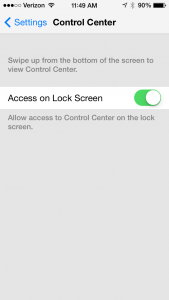 The ability for us to decide which toggles and which apps can be accessed from Control Center. Instead of having this predetermined set of apps and toggles, we should get to pick what stays and what goes. 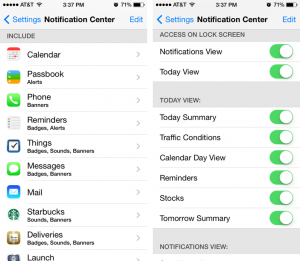 After all, Notification Center has these options, Control Center should too. Maybe I’m just trying too hard to make Control Center into Launch Center Pro. But, really: After looking at the Control Center page in Settings, it just makes sense to have more options. I mean, is Apple really dedicating this to a single toggle? 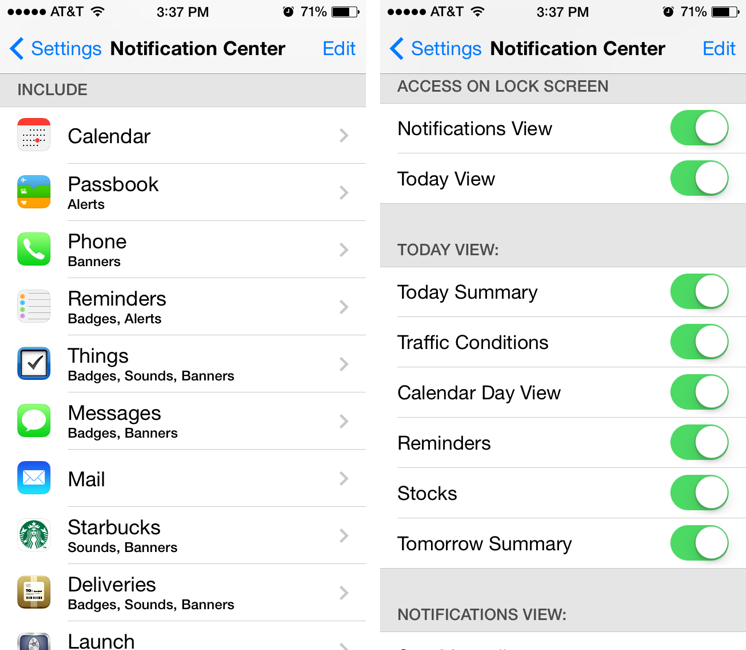 Shouldn’t it look more like the Notification Center options (above) in the Settings app? We won’t know for sure until this fall, when iOS 7 is officially in our hands by way of our iDevices. But I’m betting on Apple; I’m hoping they’ll do the right thing and straighten some of this out because Control Center really has so much potential. In the meantime, keep your fingers crossed.